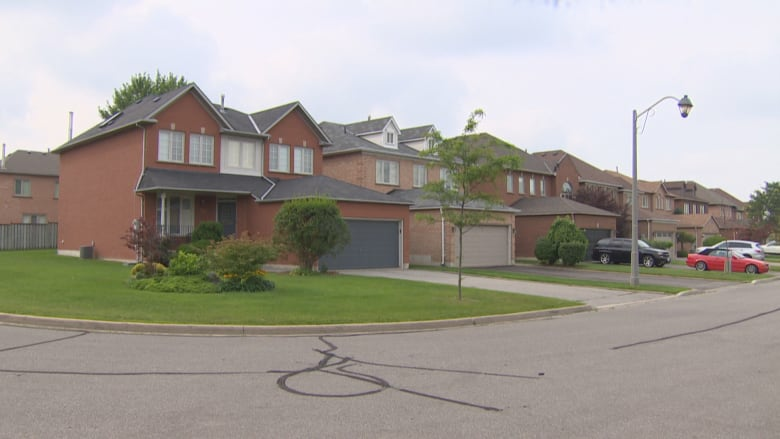 The fact that housing affordability is a hot-button issue in the Greater Toronto Area is being highlighted once again by a new opinion poll and policy paper published Wednesday. According to a poll commissioned by the Building Industry and Land Development Association and the Toronto Real Estate Board suggested GTA voters put the cost of housing with crime and infrastructure as the top issues ahead of October's municipal elections. "Housing has always been an issue, especially the last couple of years, but more so going into this election," said Von Palmer, chief communications and governance officer of the Toronto Real Estate Board. For millennials, twice the number of respondents ranked affordability as a top issue versus those over 55. Renters (62 per cent) and those living with parents or relatives (50 per cent) also ranked affordability significantly higher than homeowners (25 per cent). Palmer said the numbers highlight failures in municipal policy. "Municipal government policy needs to change," he said. Both groups that commissioned the poll have long advocated for changes to development rules to increase capacity to develop housing in Toronto. Palmer said additional measures, such as reforming the land transfer tax and increasing the first-time housing rebate, would help improve affordability. "Housing is number 1 for us as an economic and social issue in this city [...] and it's urgent," Brian Kelcey with the Toronto Region Board of Trade told Metro Morning on Wednesday. 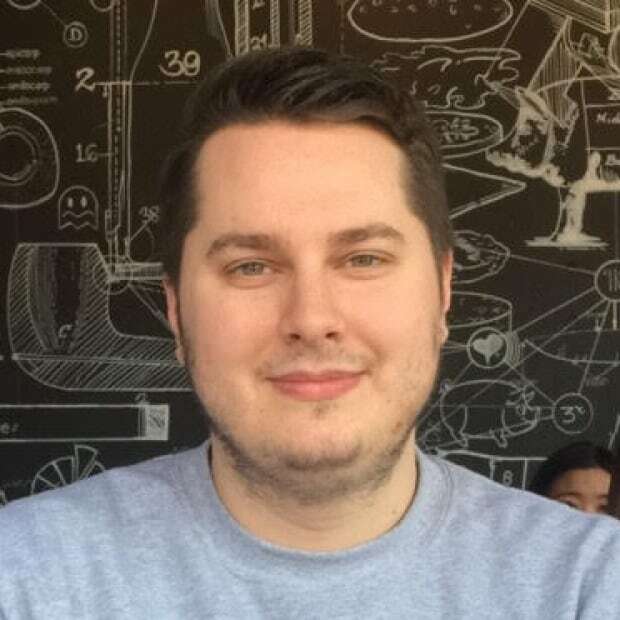 Kelcey co-authored a policy paper on housing affordability. He warned that Toronto's ability to attract investment is in jeopardy with affordability being further from reach. "The number one concern [new businesses] now have in terms of our competitiveness is not a tax issue or a location issue or a talent issue, it's housing," said Kelcey. Young families, Kelcey said, are "now being priced out of even renting a new home and that's creating a cascading effect, where those people are then renting what used to be considered affordable homes for the lower end of the market, which is putting more pressure on the social end." Municipal politicians are consumed with the battle over Ontario Premier Doug Ford's plan to cut the size of Toronto council. But when the dust settles, Kelsey warned the concerns over affordable housing will still exist. "The majority of voters in this city are still going to wake up and hope that the city is tackling this housing issue." 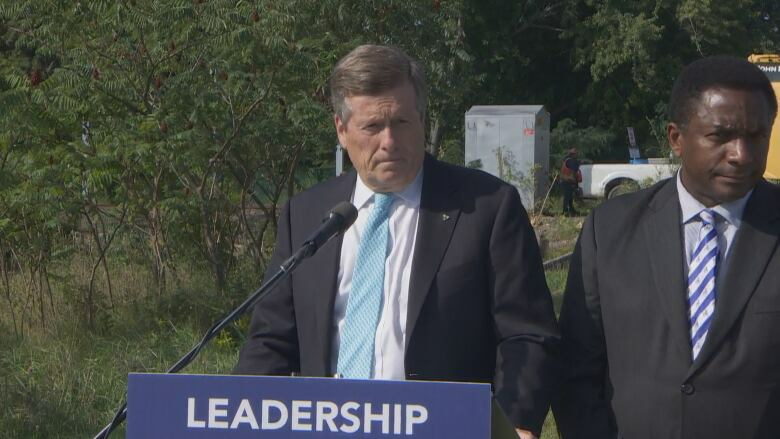 At a news conference touting his plans for transit in Scarborough, John Tory acknowledged housing affordability is an issue in Toronto, while touting his own plan to keep property taxes low and creating what he described as an "achievable" amount of affordable housing units. "I am committed to a realistic target [...] to increase the supply of affordable rental housing," Tory said, reinforcing his commitment of 40,000 units over the next 12 years. It's a commitment he said is achievable based on city staff recommendations. "There are other targets floating around from Ms. [Jennifer] Keesmaat that I think most people would recognize are not realistic," Tory added. "His plan won't even keep up with the demand that we have," countered Keesmaat, former chief city planner and mayoral contender. She said her plan for 100,000 affordable housing units in 10 years is achievable by "doing things differently." That includes selling surface Green P parking lots but putting those spaces underground as part of any building development, and bundling available real estate for large-scale development. While the promises from both Tory and Keesmaat highlight just how big of an issue housing has become in Toronto politically, Kelcey added, details on how both plans will be achieved are still lacking. "I hope [...] public interest groups like ourselves will push [the mayoral candidates] to be ever more specific as to how they're going to implement those plans," Kelcey said. A sample of 1,503 GTA residents from the Ipsos I-Say panel was interviewed from August 20 to 23, 2018. Quotas and weighting were employed to ensure that the sample's composition reflects the overall population according to census information. The precision of online polls is measured using credibility interval. For comparison purposes only a probability sample of the same size would yield a margin of error of +/- 2.9 percentage points, 19 times out of 20. Credibility intervals are wider among subsets of the population.